Following a first degree in maths at Queens University Belfast, Dave studied optometry (or ophthalmic optics as it was then) at City University. 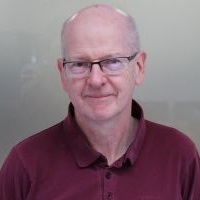 After a pre-registration year at Moorfields Eye Hospital, and a short time in hospital and locum practice, Dave joined the staff at City University in 1977. He has been with City since then and is currently Emeritus Professor. Emeritus Professor, City University London, Oct 2014 -. Visiting Professor, London South Bank University, Nov 2011 -. Professor of Clinical Optometry, City University London, May 2004 - Sep 2014. Head of Department of Optometry and Visual Science, City University London, Apr 1999 - Apr 2005. Senior Lecturer, City University London, Oct 1987 - Apr 2004. Director of Clinics, City University London, Oct 1987 - Sep 1997. Lecturer, City University London, Aug 1977 - Sep 1987. Pre-registration optometrist then Sessional Optometrist, Moorfields Eye Hospital, Aug 1974 - Jul 1977. I am a member of the Ophthalmic Public Health Research Group within the Division of Optometry and Visual Science. - Models of ophthalmic service delivery. - Prevalence of visual impairment in people with dementia. - Improving clinical decision making in optometry. - Standardised patients in optometry. 2012 - 2015. Collaborator on Enhanced Scheme Evaluation Project funded by the College of Optometrists (£249K). PIs are John Lawrenson (City University) and Robert Harper (Manchester Royal Eye Hospital). 2012 - 2014. Co-applicant on project to investigate "The prevalence of visual impairment in people with dementia" funded by NIHR (£447K). PI is Mike Bowen (College of Optometrists). 2011 -2014. Collaborator on the "Equipment and Eyecare" project funded by the College of Optometrists and Optivue Inc. (£92K) PI is John Lawrenson (City University). Further information: A College of Optometrists funded grant for "Equipment and its impact on eye care" which is evaluating the impact of modern technology on current optometric practice using quantitative and qualitative methods. Edgar, D.F. and Rudnicka, A.R. (2007). Glaucoma Identification & Co-management. ISBN 978-0-7506-3782-4. Edgar, D.F. and Rudnicka, A.R. (2007). Preface. ISBN 978-0-7506-3782-4. Rudnicka, A.R. and Edgar, D.F. (2007). Interpretation of visual field measures from automated and semi-automated perimeters. Glaucoma Identification & Co-management (pp. 55–75). ISBN 978-0-7506-3782-4. Bowen, M., Hancock, B., Edgar, D., Shah, R., Iliffe, S., Pickett, J. … Taylor, J.-.P. (2017). The PrOVIDe Study: sample characteristics. Bowen, M., Hancock, B., Edgar, D., Shah, R. and PrOVIDe, (2015). Improving eye care for people with dementia: lessons for optometric practice. Kvansakul, J., Edgar, D.F., Barbur, J.L., Schalch, W., Barker, F.M. and Kopcke, W. (2004). Assessment of visual performance in relation to macular pigment density in human vision. Chisholm, C.M., Barbur, J.L., Harlow, J.A. and Edgar, D.F. (2001). A new "pass/fail" test for assessing visual performance following corneal refractive surgery. Edgar, D.F., Hennelly, M. and Barbur, J.L. (2000). Factors affecting the accuracy of light scatter measurements in human vision. Chisholm, C.M., Barbur, J.L., Edgar, D.F. and Thomson, W.D. (2000). The effect of excimer laser refractive surgery on visual performance. Edgar, D.F., Lawrenson, J.G. and Rupra, G.K. (1997). A compara 1ivl study of the efficacy and tolerability of topical corneal anaesthetics. Hennelly, M.L., Barbur, J.L., Edgar, D.F. and Woodward, E.G. (1997). Factors affecting the integrated straylight parameter in the normal human eye. EDGAR, D.F., BARBUR, J.L. and WOODWARD, E.G. (1995). PUPIL SIZE MEASUREMENTS IN RELATION TO LIGHT SCATTER IN THE EYE. RUDNICKA, A.R. and EDGAR, D.F. (1995). AUTOMATED PERIMETRY OF BLIND SPOT REGION IN MYOPES WITH PERIPAPILLARY CRESCENTS. RUDNICKA, A.R. and EDGAR, D.F. (1994). CENTRAL VISUAL-FIELD BY AUTOMATED PERIMETRY IN MYOPES WITH PERIPAPILLARY CRESCENTS. GUTTRIDGE, N.M. and EDGAR, D.F. (1994). THE EFFECT OF THE MENSTRUAL-CYCLE ON VISUAL PERFORMANCE. CRABB, D.P., FITZKE, F.W., EDGAR, D.F. and MCNAUGHT, A.I. (1994). IMPROVING THE ANALYSIS OF GLAUCOMATOUS VISUAL-FIELD DATA WITH IMAGE-PROCESSING TECHNIQUES. RUDNICKA, A.R., BURK, R.W., FITZKE, F.W. and EDGAR, D.F. (1993). MAGNIFICATION CHARACTERISTICS OF FUNDUS IMAGING-SYSTEMS. CRABB, D.P., EDGAR, D.F. and FITZKE, F.W. (1993). A SPATIAL FILTER PROCESS TO DETECT THE LEVEL OF VARIABILITY WITHIN VISUAL-FIELD DATA. LAWRENSON, J.G., EDGAR, D.F., GUDGEON, A.C., BURNS, J.M. and GERAINT, M. (1993). A COMPARISON OF THE EFFICACY OF TOPICALLY APPLIED PROPARACAINE USING A NEW OPHTHALMIC DELIVERY SYSTEM VERSUS CONVENTIONAL EYE DROPS IN HEALTHY-YOUNG VOLUNTEERS. RUDNICKA, A.R., EDGAR, D.F. and BENNETT, A.G. (1992). CONSTRUCTION OF A MODEL EYE AND ITS APPLICATIONS. EDGAR, D.F., STEWARTJONES, J.H., CRABB, D.P., RUDNICKA, A.R., LAWRENSON, J.G., GUTTRIDGE, N.M. … OBRIEN, C. (1992). EFFECTS OF PILOCARPINE AND PROPINE ON PUPIL DIAMETER, AUTOMATED PERIMETRY AND LOGMAR ACUITY. GUTTRIDGE, N.M., EDGAR, D.F. and CRABB, D.P. (1992). THE EFFECT OF THE MENSTRUAL-CYCLE ON AUTOMATED PERIMETRY. RUDNICKA, A.R., STEELE, C.F., CRABB, D.P. and EDGAR, D.F. (1991). CLINICAL-EVALUATION OF THE ALLERGAN HUMPHREY ULTRASONIC BIOMETER. WRIGHT, S., EDGAR, D.F., STEWARTJONES, J.H. and TURNER, P. (1989). COMPARISON OF TOPICAL BETAXOLOL, CARTEOLOL, METIPRANOLOL AND SALINE ON INTRAOCULAR-PRESSURE IN NORMAL VOLUNTEERS. DANIELS, S., EDGAR, D.F., STEWARTJONES, J.H. and TURNER, P. (1989). INFLUENCE OF PRETREATMENT WITH OXYBUPROCAINE ON PUPILLARY RESPONSE TO PHENYLEPHRINE IN HUMAN VOLUNTEERS. CORCORAN, J.S., AGARAWAL, O.P., YUDKIN, J.S., MOORE, K. and EDGAR, D.F. (1984). VISUAL-ACUITY AS A SCREENING-TEST FOR DIABETIC MACULOPATHY. Stewart Jones, J.H. and Edgar, D.F. (1983). Effects of beta-adrenoceptor blockade on intraocular pressure, pupil diameter, accommodation and the cardiovascular system in normal volunteers. Edwards, L.A., Campbell, P., Taylor, D.J., Shah, R., Edgar, D.F. and Crabb, D.P. (2019). Healthy shopper? Blood pressure testing in a shopping centre Pop-Up in England. BMC Public Health, 19(1). doi:10.1186/s12889-018-6370-0 . Parkins, D.J., Benwell, M.J., Edgar, D.F. and Evans, B.J.W. (2018). The relationship between unwarranted variation in optometric referrals and time since qualification. OPHTHALMIC AND PHYSIOLOGICAL OPTICS, 38(5), pp. 550–561. doi:10.1111/opo.12580 . Edwards, L., Taylor, D.J., Shah, R., Campbell, P., Edgar, D.F. and Crabb, D.P. (2018). Feeling the pressure - Initial results from a shopping centre/mall Pop-Up for screening intra-ocular pressure (IOP) across England. INVESTIGATIVE OPHTHALMOLOGY & VISUAL SCIENCE, 59(9). Konstantakopoulou, E., Harper, R.A., Edgar, D.F., Larkin, G., Janikoun, S. and Lawrenson, J.G. (2018). Clinical safety of a minor eye conditions scheme in England delivered by community optometrists. BMJ Open Ophthalmology, 3(1). doi:10.1136/bmjophth-2017-000125 . Bronzetti, G., Di Donato, F., Melville, R. and Trucco, S. (2018). Editorial. International Journal of Business Performance Management, 19(1), pp. 1–6. Gunn, P.J.G., Marks, J.R., Konstantakopoulou, E., Edgar, D.F., Lawrenson, J.G., Roberts, S.A. … Harper, R.A. (2018). Clinical effectiveness of the Manchester Glaucoma Enhanced Referral Scheme. British Journal of Ophthalmology. doi:10.1136/bjophthalmol-2018-312385 . Shah, R., Edgar, D., Bowen, M. and Hancock, B. (2017). Dementia and optometry: A growing need. Optometry in Practice, 18(4), pp. 177–177. Mason, T., Jones, C., Sutton, M., Konstantakopoulou, E., Edgar, D.F., Harper, R.A. … Lawrenson, J.G. (2017). Retrospective economic analysis of the transfer of services from hospitals to the community: An application to an enhanced eye care service. BMJ Open, 7(7). doi:10.1136/bmjopen-2016-014089 . Lawrenson, J.G., Baker, H., Ratnarajan, G., Harper, R.A. and Edgar, D.F. (2017). Authors' reply. Ophthalmic and Physiological Optics, 37(1), pp. 113–114. doi:10.1111/opo.12347 . Baker, H., Harper, R.A., Edgar, D.F. and Lawrenson, J.G. (2016). Multi-stakeholder perspectives of locally commissioned enhanced optometric services. BMJ Open, 6(10). doi:10.1136/bmjopen-2016-011934 . Baker, H., Ratnarajan, G., Harper, R.A., Edgar, D.F. and Lawrenson, J.G. (2016). Effectiveness of UK optometric enhanced eye care services: a realist review of the literature. Ophthalmic & physiological optics : the journal of the British College of Ophthalmic Opticians (Optometrists), 36(5), pp. 545–557. doi:10.1111/opo.12312 . Konstantakopoulou, E., Edgar, D.F., Harper, R.A., Baker, H., Sutton, M., Janikoun, S. … Lawrenson, J.G. (2016). Evaluation of a minor eye conditions scheme delivered by community optometrists. BMJ Open, 6(8). doi:10.1136/bmjopen-2016-011832 . Bowen, M., Edgar, D.F., Hancock, B., Haque, S., Shah, R., Buchanan, S. … O’Leary, N. (2016). The Prevalence of Visual Impairment in People with Dementia (the PrOVIDe study): a cross-sectional study of people aged 60–89 years with dementia and qualitative exploration of individual, carer and professional perspectives. Health Services and Delivery Research, 4(21), pp. 1–200. doi:10.3310/hsdr04210 . Abdel-hay, A., Sivaprasad, S., Subramanian, A., Edgar, D. and Barbur, J.L. (2015). Chromatic sensitivity changes in Type I and Type II diabetics. INVESTIGATIVE OPHTHALMOLOGY & VISUAL SCIENCE, 56(7). Shah, R., Hancock, B., Bowen, M. and Edgar, D. (2015). A proposal for a UK Dementia Eye Care Pathway. Optometry in Practice, 16(2), pp. 71–71. Jindal, A., Myint, J., Edgar, D.F., Nolan, W.P. and Lawrenson, J.G. (2015). Agreement among optometrists and ophthalmologists in estimating limbal anterior chamber depth using the van Herick method. Ophthalmic and Physiological Optics, 35(2), pp. 179–185. doi:10.1111/opo.12199 . Dabasia, P.L., Edgar, D.F., Murdoch, I.E. and Lawrenson, J.G. (2015). Noncontact screening methods for the detection of narrow anterior chamber angles. Investigative Ophthalmology and Visual Science, 56(6), pp. 3929–3935. doi:10.1167/iovs.15-16727 . Dabasia, P.L., Fidalgo, B.R., Edgar, D.F., Garway-Heath, D.F. and Lawrenson, J.G. (2015). Diagnostic accuracy of technologies for glaucoma case-finding in a community setting. Ophthalmology, 122(12), pp. 2407–2415. doi:10.1016/j.ophtha.2015.08.019 . LAWRENSON, J., DABASIA, P., EDGAR, D. and GARWAY-HEATH, D. (2014). Performance of advanced technologies for community-based glaucoma case-finding. Acta Ophthalmologica, 92, pp. 0–0. doi:10.1111/j.1755-3768.2014.3422.x . van Doorn, L.L.A., Evans, B.J.W., Edgar, D.F. and Fortuin, M.F. (2014). Manufacturer changes lead to clinically important differences between two editions of the TNO stereotest. Ophthalmic Physiol Opt, 34(2), pp. 243–249. doi:10.1111/opo.12101 . Myint, J., Edgar, D.F., Murdoch, I.E. and Lawrenson, J.G. (2014). The impact of postgraduate training on UK optometrists' clinical decision-making in glaucoma. Ophthalmic and Physiological Optics, 34(3), pp. 376–384. doi:10.1111/opo.12126 . Konstantakopoulou, E., Harper, R.A., Edgar, D.F. and Lawrenson, J.G. (2014). A qualitative study of stakeholder views regarding participation in locally commissioned enhanced optometric services. BMJ Open, 4(5). doi:10.1136/bmjopen-2013-004781 . Dabasia, P.L., Edgar, D.F., Garway-Heath, D.F. and Lawrenson, J.G. (2014). A survey of current and anticipated use of standard and specialist equipment by UK optometrists. Ophthalmic and Physiological Optics, 34(5), pp. 592–613. doi:10.1111/opo.12150 . Hancock, B., Bowen, M., Edgar, D., Pepe, R. and Shah, R. (2014). The Prevention and Management of Visual Impairment in People with Dementia. INTERNATIONAL JOURNAL OF QUALITATIVE METHODS, 13, pp. 512–513. Rauscher, F.G., Chisholm, C.M., Edgar, D.F. and Barbur, J.L. (2013). Assessment of novel binocular colour, motion and contrast tests in glaucoma. Cell and Tissue Research, 353(2), pp. 297–310. doi:10.1007/s00441-013-1675-x . Rauscher, F.G., Chisholm, C.M., Edgar, D.F. and Barbur, J.L. (2013). Assessment of novel binocular colour, motion and contrast tests in glaucoma. Cell and Tissue Research pp. 1–14. Theodossiades, J., Myint, J., Murdoch, I.E., Edgar, D.F. and Lawrenson, J.G. (2012). Does optometrists' self-reported practice in glaucoma detection predict actual practice as determined by standardised patients? Ophthalmic Physiol Opt, 32(3), pp. 234–241. doi:10.1111/j.1475-1313.2012.00898.x . Myint, J., Edgar, D.F., Kotecha, A., Murdoch, I.E. and Lawrenson, J.G. (2011). A national survey of diagnostic tests reported by UK community optometrists for the detection of chronic open angle glaucoma. Ophthalmic Physiol Opt, 31(4), pp. 353–359. doi:10.1111/j.1475-1313.2011.00844.x . Parkins, D.J. and Edgar, D.F. (2011). Comparison of the effectiveness of two enhanced glaucoma referral schemes. Ophthalmic Physiol Opt, 31(4), pp. 343–352. doi:10.1111/j.1475-1313.2011.00853.x . Fortuin, M.F., Schilperoort, J., Evans, B.J.W., Edgar, D.F., Manon, H.M.T. and Kiers, H. (2011). Randomised controlled study comparing comfort-related outcomes between two rigid gas permeable (RGP) lenses with different sessile drop contact angles. OPHTHALMIC AND PHYSIOLOGICAL OPTICS, 31(2), pp. 190–199. doi:10.1111/j.1475-1313.2010.00812.x . Fortuin, M.F., Lambooij, M.T., IJsselsteijn, W.A., Heynderickx, I., Edgar, D.F. and Evans, B.J.W. (2011). An exploration of the initial effects of stereoscopic displays on optometric parameters. OPHTHALMIC AND PHYSIOLOGICAL OPTICS, 31(1), pp. 33–44. doi:10.1111/j.1475-1313.2010.00804.x . Myint, J., Edgar, D.F., Kotecha, A., Murdoch, I.E. and Lawrenson, J.G. (2010). Barriers perceived by UK-based community optometrists to the detection of primary open angle glaucoma. Ophthalmic Physiol Opt, 30(6), pp. 847–853. doi:10.1111/j.1475-1313.2010.00792.x . Myint, J., Edgar, D.F., Kotecha, A., Crabb, D.P. and Lawrenson, J.G. (2010). Development of a competency framework for optometrists with a specialist interest in glaucoma. Eye (Lond), 24(9), pp. 1509–1514. doi:10.1038/eye.2010.62 . Shah, R., Edgar, D.F. and Evans, B.J.W. (2010). A comparison of standardised patients, record abstraction and clinical vignettes for the purpose of measuring clinical practice. OPHTHALMIC AND PHYSIOLOGICAL OPTICS, 30(3), pp. 209–224. doi:10.1111/j.1475-1313.2010.00713.x . Crabb, D.P., Smith, N.D., Rauscher, F.G., Chisholm, C.M., Barbur, J.L., Edgar, D.F. … Garway-Heath, D.F. (2010). Exploring eye movements in patients with glaucoma when viewing a driving scene. PLoS One, 5(3). doi:10.1371/journal.pone.0009710 . Edgar, D.F., Romanay, T., Lawrenson, J.G. and Myint, J. (2010). Referral behaviour among optometrists: Increase in the number of referrals from optometrists following the publication of the April 2009 NICE guidelines for the diagnosis and management of COAG and OHT in England and Wales and its implications. Optometry in Practice, 11, pp. 31–43. Fortuin, M.F., Schilperoort, J., Evans, B.J.W., Edgar, D.F., van den Berg, T.J.T.P. and Kiers, H. (2009). Randomised controlled trial of the effects of two rigid gas permeable (RGP) contact lens materials and two surface cleaners on straylight values. OPHTHALMIC AND PHYSIOLOGICAL OPTICS, 29(5), pp. 497–508. doi:10.1111/j.1475-1313.2009.00660.x . Shah, R., Edgar, D.F. and Evans, B.J.W. (2009). How well does record abstraction quantify the content of optometric eye examinations in the UK? OPHTHALMIC AND PHYSIOLOGICAL OPTICS, 29(4), pp. 383–396. doi:10.1111/j.1475-1313.2009.00656.x . Shah, R., Edgar, D.F., Rabbetts, R., Harle, D.E. and Evans, B.J.W. (2009). Standardized Patient Methodology to Assess Refractive Error Reproducibility. OPTOMETRY AND VISION SCIENCE, 86(5), pp. 517–528. doi:10.1097/OPX.0b013e31819fa590 . Shah, R., Edgar, D.F., Spry, P.G., Harper, R.A., Kotecha, A., Rughani, S. … Evans, B.J.W. (2009). Glaucoma detection: the content of optometric eye examinations for a presbyopic patient of African racial descent. Br J Ophthalmol, 93(4), pp. 492–496. doi:10.1136/bjo.2008.145623 . Shah, R., Edgar, D.F., Harle, D.E., Weddell, L., Austen, D.P., Burghardt, D. … Evans, B.J.W. (2009). The content of optometric eye examinations for a presbyopic patient presenting with symptoms of flashing lights. Ophthalmic Physiol Opt, 29(2), pp. 105–126. doi:10.1111/j.1475-1313.2008.00613.x . Shah, R., Edgar, D.F., Rabbetts, R., Blakeney, S.L., Charlesworth, P., Harle, D.E. … Evans, B.J.W. (2008). The content of optometric eye examinations for a young myope with headaches. OPHTHALMIC AND PHYSIOLOGICAL OPTICS, 28(5), pp. 404–421. doi:10.1111/j.1475-1313.2008.00587.x . Chisholm, C.M., Rauscher, F.G., Crabb, D.C., Davies, L.N., Dunne, M.C., Edgar, D.F. … Barbur, J.L. (2008). Assessing visual fields for driving in patients with paracentral scotomata. BRITISH JOURNAL OF OPHTHALMOLOGY, 92(2), pp. 225–230. doi:10.1136/bjo.2007.129726 . Yasoubi, N., Edgar, D.F. and Chisholm, C.M. (2008). The effects of hydrogel contact lens wear on low contrast acuity. JOURNAL OF MODERN OPTICS, 55(4-5), pp. 599–610. doi:10.1080/09500340701469799 . Shah, R., Edgar, D. and Evans, B.J.W. (2007). Measuring clinical practice. Ophthalmic and Physiological Optics, 27(2), pp. 113–125. doi:10.1111/j.1475-1313.2006.00481.x . Shah, R., Evans, B.J.W. and Edgar, D.F. (2007). A survey of the availability of state funded primary eyecare in the UK for the very young and very old. Ophthalmic and Physiological Optics, 27, pp. 473–481. Kvansakul, J., Rodriguez-Carmona, M., Edgar, D.F., Barker, F.M., Koepcke, W., Schalch, W. … Barbur, J.L. (2006). Supplementation with the carotenoids lutein or zeaxanthin improves human visual performance. OPHTHALMIC AND PHYSIOLOGICAL OPTICS, 26(4), pp. 362–371. doi:10.1111/j.1475-1313.2006.00387.x . Kvansakul, J., Rodriguez-Carmona, M., Edgar, D.F., Barker, F.M., Köpcke, W., Schalch, W. … Barbur, J.L. (2006). Supplementation with the carotenoids lutein or zeaxanthin improves human visual performance. Ophthalmic and Physiological Optics, 26(4), pp. 362–371. doi:10.1111/j.1475-1313.2006.00387.x . Rudnicka, A.R., Frost, C., Owen, C.G. and Edgar, D.F. (2001). Nonlinear behavior of certain optic nerve head parameters and their determinants in normal subjects. OPHTHALMOLOGY, 108(12), pp. 2358–2368. doi:10.1016/S0161-6420(01)00821-1 . Pacheco-Cutillas, M., Edgar, D.F. and Sahraie, A. (1999). Acquired colour vision defects in glaucoma-their detection and clinical significance. Br J Ophthalmol, 83(12), pp. 1396–1402. Edgar, D.F., Crabb, D.P., Rudnicka, A.R., Lawrenson, J.G., Guttridge, N.M. and O'Brien, C.J. (1999). Effects of dipivefrin and pilocarpine on pupil diameter, automated perimetry and LogMAR acuity. Graefes Arch Clin Exp Ophthalmol, 237(2), pp. 117–124. Rudnicka, A.R., Burk, R.O.W., Edgar, D.F. and Fitzke, F.W. (1998). Magnification characteristics of fundus imaging systems. OPHTHALMOLOGY, 105(12), pp. 2186–2192. doi:10.1016/S0161-6420(98)91214-3 . Lawrenson, J.G., Edgar, D.F., Tanna, G.K. and Gudgeon, A.C. (1998). Comparison of the tolerability and efficacy of unit-dose, preservative-free topical ocular anaesthetics. Ophthalmic Physiol Opt, 18(5), pp. 393–400. Edgar, D.F. (1998). An overview of the current drugs scene. Ophthalmic and Physiological Optics, 18(2), pp. 97–102. doi:10.1016/S0275-5408(97)00076-8 . Hennelly, M.L., Barbur, J.L., Edgar, D.F. and Woodward, E.G. (1998). The effect of age on the light scattering characteristics of the eye. OPHTHALMIC AND PHYSIOLOGICAL OPTICS, 18(2), pp. 197–203. doi:10.1046/j.1475-1313.1998.00333.x . Hennelly, M.L., Barbur, J.L., Edgar, D.F. and Woodward, E.G. (1998). The effect of age on the light scattering characteristics of the eye. Ophthalmic and Physiological Optics, 18(2), pp. 197–203. doi:10.1016/S0275-5408(97)00077-X . Edgar, D.F. and Gilmartin, B. (1997). Ocular adverse reactions to systemic medication. OPHTHALMIC AND PHYSIOLOGICAL OPTICS, 17. doi:10.1016/S0275-5408(97)00038-0 . Crabb, D.P., Fitzke, F.W., McNaught, A.I., Edgar, D.F. and Hitchings, R.A. (1997). Improving the prediction of visual field progression in glaucoma using spatial processing. OPHTHALMOLOGY, 104(3), pp. 517–524. doi:10.1016/S0161-6420(97)30281-4 . Sahraie, A., Barbur, J.L., Edgar, D.F. and Weiskrantz, L. (1996). Motion discrimination of single targets: Comparison of preliminary findings in normal subjects and patients with glaucoma. GRAEFES ARCHIVE FOR CLINICAL AND EXPERIMENTAL OPHTHALMOLOGY, 234(9), pp. 553–560. doi:10.1007/BF00448799 . Rudnicka, A.R. and Edgar, D.F. (1996). Automated static perimetry in myopes with peripapillary crescents .2. OPHTHALMIC AND PHYSIOLOGICAL OPTICS, 16(5), pp. 416–429. Sahraie, A., Barbur, J.L., Edgar, D.F. and Weiskrantz, L. (1996). Motion discrimination of single targets: Comparison of preliminary findings in normal subjects and patients with glaucoma. Graefe's Archive for Clinical and Experimental Ophthalmology, 234(9), pp. 553–560. doi:10.1007/BF00448799 . RUDNICKA, A.R. and EDGAR, D.F. (1995). AUTOMATED STATIC PERIMETRY IN MYOPES WITH PERIPAPILLARY CRESCENTS .1. OPHTHALMIC AND PHYSIOLOGICAL OPTICS, 15(5), pp. 409–412. doi:10.1016/0275-5408(95)00072-L .
EDGAR, D. (1995). Editorial. Ophthalmic and Physiological Optics, 15. doi:10.1016/0275-5408(95)90030-6 . Sanchez, A., Larrosa, J.M., Honrubia, F.M., Edgar, D.F. and Rudnicka, A.R. (1995). Letters to the editor. Graefe's Archive for Clinical and Experimental Ophthalmology, 233(8), p. 535. doi:10.1007/BF00183437 . FITZKE, F.W., CRABB, D.P., MCNAUGHT, A.I., EDGAR, D.F. and HITCHINGS, R.A. (1995). IMAGE-PROCESSING OF COMPUTERIZED VISUAL-FIELD DATA. BRITISH JOURNAL OF OPHTHALMOLOGY, 79(3), pp. 207–212. doi:10.1136/bjo.79.3.207 . CRABB, D.P., EDGAR, D.F., FITZKE, F.W., MCNAUGHT, A.I. and WYNN, H.P. (1995). NEW APPROACH TO ESTIMATING VARIABILITY IN VISUAL-FIELD DATA USING AN IMAGE-PROCESSING TECHNIQUE. BRITISH JOURNAL OF OPHTHALMOLOGY, 79(3), pp. 213–217. doi:10.1136/bjo.79.3.213 . BENNETT, A.G., RUDNICKA, A.R. and EDGAR, D.F. (1994). IMPROVEMENTS ON LITTMANN METHOD OF DETERMINING THE SIZE OF RETINAL FEATURES BY FUNDUS PHOTOGRAPHY. GRAEFES ARCHIVE FOR CLINICAL AND EXPERIMENTAL OPHTHALMOLOGY, 232(6), pp. 361–367. doi:10.1007/BF00175988 . Lawrenson, J.G., Edgar, D.F., Gudgeon, A.C., Burns, J.M., Geraint, M. and Barnard, N.A. (1993). A comparison of the efficacy and duration of action of topically applied proxymetacaine using a novel ophthalmic delivery system versus eye drops in healthy young volunteers. Br J Ophthalmol, 77(11), pp. 713–715. RUDNICKA, A.R., EDGAR, D.F. and BENNETT, A.G. (1992). CONSTRUCTION OF A MODEL EYE AND ITS APPLICATIONS. OPHTHALMIC AND PHYSIOLOGICAL OPTICS, 12(4), pp. 485–490. doi:10.1016/0275-5408(92)90181-U . STEELE, C.F., CRABB, D.P. and EDGAR, D.F. (1992). EFFECTS OF DIFFERENT OCULAR FIXATION CONDITIONS ON A-SCAN ULTRASOUND BIOMETRY MEASUREMENTS. OPHTHALMIC AND PHYSIOLOGICAL OPTICS, 12(4), pp. 491–495. doi:10.1016/0275-5408(92)90182-V .
RUDNICKA, A.R., STEELE, C.F., CRABB, D.P. and EDGAR, D.F. (1992). REPEATABILITY, REPRODUCIBILITY AND INTERSESSION VARIABILITY OF THE ALLERGAN HUMPHREY ULTRASONIC BIOMETER. ACTA OPHTHALMOLOGICA, 70(3), pp. 327–334. Shah, B., Hubbard, B., Stewart‐Jones, J.H., Edgar, D.F. and Turner, P. (1989). Influence of thymoxamine eye‐drops on the mydriatic effect of tropicamide and phenylephrine alone and in combination. Ophthalmic and Physiological Optics, 9(2), pp. 153–155. doi:10.1111/j.1475-1313.1989.tb00835.x . Mckinna, H., Stewart-Jones, J.H., Edgar, D.F. and Turner, P. (1988). Reversal of tropicamide-induced mydriasis by thymoxamine Eye drops. Current Medical Research and Opinion, 11(1), pp. 1–3. doi:10.1185/03007998809111123 . Ramsden, R.J., Edgar, D.F., Stewart-Jones, J.H. and Turner, P. (1985). Non-contact tonometry and pupillary responses to topical phenylephrine and thymoxamine. International Journal of Clinical Pharmacology Research, 5(3), pp. 213–214. PINNEY, H., EDGAR, D., STEWARTJONES, J.H., MEKKI, Q.A. and TURNER, P. (1985). RELATIONSHIP BETWEEN PUPIL SIZE AND INTRAOCULAR-PRESSURE AFTER TOPICAL APPLICATION OF GUANETHIDINE AND THYMOXAMINE. BRITISH JOURNAL OF CLINICAL PHARMACOLOGY, 20(5). Corcoran, J.S., Moore, K., Agarawal, O.P., Edgar, D.F. and Yudkin, J.S. (1985). Visual acuity screening for diabetic maculopathy. Practical Diabetes International, 2(6), pp. 30–32. doi:10.1002/pdi.1960020610 . MEKKI, Q.A., PENHALL, R., EDGAR, D.F., STEWARTJONES, J.H. and TURNER, P. (1983). LOCAL AND SYSTEMIC EFFECTS OF PINDOLOL EYE DROPS. BRITISH JOURNAL OF CLINICAL PHARMACOLOGY, 15(1), pp. 112–113. doi:10.1111/j.1365-2125.1983.tb01473.x . TYAS, C., STEWARTJONES, J.H., EDGAR, D.F. and TURNER, P. (1981). THE EFFECT OF 0.25-PERCENT AND 0.5-PERCENT PINDOLOL ON INTRAOCULAR-PRESSURE IN NORMAL HUMAN VOLUNTEERS. CURRENT MEDICAL RESEARCH AND OPINION, 7(8), pp. 550–552. doi:10.1185/03007998109112372 . ROWLEY, S., STAUNTON, J.E., TOSCH, A., STEWARTJONES, J.H., EDGAR, D.F. and TURNER, P. (1981). A NON-INVASIVE TONOMETER IN THE MEASUREMENT OF THE EFFECTS OF PINDOLOL AND TIMOLOL ON INTRAOCULAR-PRESSURE IN NORMAL SUBJECTS. BRITISH JOURNAL OF OPHTHALMOLOGY, 65(8), pp. 536–538. doi:10.1136/bjo.65.8.536 . Abdel-hay, A., Sivaprasad, S., Subramanian, A., Konstantakopoulou, E., Edgar, D. and Barbur, J. Chromatic sensitivity in diabetic patients treated with Ozurdex. , 2013. Parkins, D.J. and Edgar, D.F. (2012). College guidelines for examining patients at risk from glaucoma. Edgar, D.F. (1996). An appreciation. A. G. Bennett (1912-1994). EDGAR, D.F. and RUDNICKA, A.R. (1995). IMPROVEMENTS ON LITTMANNS THEORETICAL METHOD - REPLY. Link Tutor for RNIB Eye Clinic Support Studies Short Course. OV3017 Eye Disease and Therapeutics. OV3019 Clinical and Professional Practice. External Examiner on Final Assessment Panel for OSCE examinations of the Scheme for Registration of the College of Optometrists. Editorial Board of Optometry in Practice.. Location specific, differential loss of functional sensitivity in glaucoma. International Colour Vision Society (2013). The content of optometric eye examinations for a presbyopic patient presenting with symptoms of flashing lights. College of Optometrists "Optometry Tomorrow" annual conference (2010).